In my spare time I try to learn more than the internals of the Internet, moving into the application area. So I maintain a few websites as a good excuse for keeping more up to date with HTML, CSS, PHP and whatever gets on my way. And I do a very small bit of work for open source software. Using the lists produced by the KNSB (Dutch Chess Federation), I produce various graphs and lists based on Dutch chess rating lists. The website can be found here. De Stukkenjagers is my chessclub in Tilburg. It didn't have a website yet, so it was a perfect victim. With a board member who finds news items at an incredible rate, and with all kinds of regularly changing content (think: competitions, etc), it is my project of automating websites. It might even end up to be my first website using publishing software like Zope. DICS, the Dutch Internet Chess Server, is currently living its life as a vegetable. It cannot compete with the 3 big chess servers, which are run by larger groups of people, some even professionaly. But it still runs, and I am still looking for the day when I can spend all my time lying on the beach and doing fun things. D-BUG is the Dutch BSD User Group. One might get depressed, but this group is also low profile at the moment, because the board, and the members are spending too much time working with their beloved operating system than they do promoting it. So the biggest reason for its existance is currently the mailing lists where people are helped with their questions. FreeBSD is my Operating System of choice, because it gives me a working environment that is stable, and where I am in control. Given that I hardly ever have to touch Windows systems, I don't see why I should have it on my desktops or my servers (except for my wife of course). I maintain a few pieces of software, e.g. 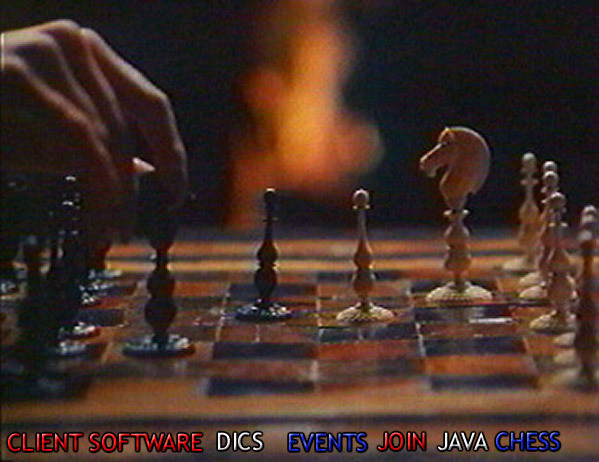 kaffe (a Java compiler/VM), xboard (a chess interface) and libslang (a programming library).